Yehuda Amichai. Amichai, Yehuda, photograph by John Reeves. Reproduced by permission. 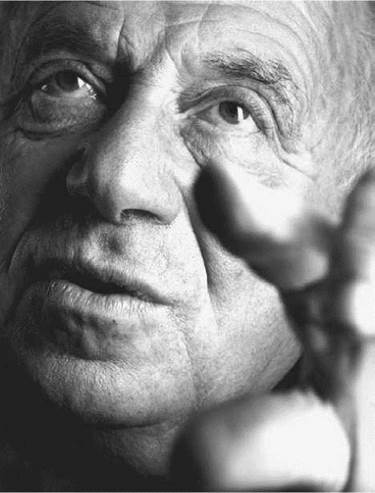 An influential member of Israel’s first literary generation, Yehuda Amichai synthesizes in his poetry the biblical rhythms and imagery of ancient Hebrew with modern Hebraic colloquialisms to try to make sense of the dislocation and alienation experienced by many Jews escaping genocide in Europe for perpetual war in Israel. A Youth Spent in War. Yehuda Amichai was born in Wurzburg, Germany in 1924. Twelve years later, during the Nazification of Germany that led up to World War II (1939-1945), he emigrated with his parents to Palestine, then a British protectorate in the Middle East. Although his family avoided the horrors of Nazi Germany, Amichai lost many friends and relatives in concentration camps, a loss that haunted him throughout his life. He served in the Jewish Brigade of the British Army in North Africa during World War II, one of around five thousand Palestinian Jews to do so. After Allied victory in the war, the United Nations created the state of Israel in 1947, establishing it as a Jewish homeland—in large part as a response to the Holocaust, in which over 6 million Jews were slaughtered in Nazi camps throughout Germany and German-occupied territories in Europe. Amichai then served with Israeli defense forces during the Arab- Israeli war of 1948, which controversially expanded Israel’s territory after a combined attack from Eqypt, Syria, Jordan, Iraq, and Lebanon was repulsed. These experiences, along with witnessing and soldiering in Israel’s other wars of the mid-twentieth century, strongly influenced Amichai’s work; many of his poems and short stories revolve around themes associated with war and its aftermath. Contemporary Poetry for a Contemporary World. Amichai received his degree from Hebrew University in Jerusalem in 1955 and began teaching biblical and Hebrew literature in high schools. He published his first book of poetry in 1955 as well, Now and in Other Days, which was revolutionary for its use of colloquial Hebrew. His 1958 collection, Two Hopes Apart, established him as a major Israeli poet. He was one of the first poets writing in Hebrew to use images of tanks, airplanes, and other technology in his poetry, reflecting his belief that contemporary poetry should embrace the contemporary world. Negotiating Identity After the Holocaust. Amichai first gained the notice of British and American audiences with the English translations of Amen (1977) and Time (1978), two volumes of poetry Amichai translated with the English poet Ted Hughes. Both books address the spiritual and political concerns of the Jewish people. Amichai’s deep and ongoing engagement with history and its impact on individual lives is evident in much of his poetry and in his 1963 novel, Not of This Time, Not of This Place. In this book, a Jewish archeologist is torn between returning to the German town where he grew up—like the author himself—and staying in Jerusalem to carry out his extramarital affair. The novel is generally considered a seminal work of Israeli Holocaust literature, investigating two options for living with the knowledge of Nazi genocide: Negotiate with the consequences of the past or deny it. Turning to the Tanakh. Later in his life, Amichai turned more and more to Hebrew scriptures as a route to understanding himself and the world, focusing on matters both internal and external. In Great Tranquillity: Questions and Answers (1983), Amichai addresses Israel’s troubled political history and its paradoxical desert landscape, which is both arid and rich with promise. ‘‘Travels of the Last Benjamin of Tudela’’ is a sequence of fifty- seven poems in which Amichai analyzes his Jewish identity by comparing his life story with legends of a wandering medieval rabbi. Published separately in book-length form as Travels in 1986, this work also appears in his Selected Poetry (1986), a compilation of verse from ten volumes published over a thirty-year period. In Even a Fist Was Once an Open Palm with Fingers (1991), Amichai again draws from the Tanakh, the holy text of Judaism, to illustrate the individual’s struggle with history. And the very late Open Closed Open (1998) is widely seen as Amichai’s masterpiece. The twenty-five linked poems in this collection examine human nature and universal concerns through the lens of the Jewish spiritual tradition and Israel’s justified fears about the future. At the time of publishing, the Oslo Peace Process begun in 1993 had helped Israel achieve a limited peace with its separatist Palestinian minority—after years of religiously inflected civil war and tension—but Amichai’s concerns about a future for Israel were prescient. As a result of the failure of that peace process in 2000, Israeli- Palestinian hostilities flared back up, and remained yet to be resolved still in 2008. Over the course of a lifetime concerned with negotiation of identity in the presence of others, the effort to understand the self as a part of society and of culture, Amichai married twice, and had three children. Although nominated numerous times for the Nobel Prize in Literature, he never won. Amichai died of cancer on September 22, 2000, in Jerusalem, Israel, and was buried there. Shmuel Yosef Agnon (1888-1970): An Israeli novelist whose works examine the conflict between traditional Jewish culture and the contemporary world, Agnon was awarded the Nobel Prize in Literature in 1966 jointly with German poet Nelly Sachs. Adolf Eichmann (1906-1962): Known as the ''architect of the Holocaust'' during World War II, this German Nazi was captured by Israeli agents in Argentina, convicted of crimes against humanity and war crimes by an Israeli court, and executed. Allen Ginsberg (1926-1997): A Jewish-American poet and cofounder of the Beatnik school of writing, Ginsberg remains well known for his long poem ''Howl,'' which was initially banned for its explicit language and frank references to homosexuality. Amos Oz (1939- ): An Israeli novelist and writer, Oz argues for a two-state solution to the Israeli-Palestinian conflict. Nelly Sachs (1891-1970): A Jewish German poet known for her lyrical, mournful work, Sachs was awarded the Nobel Prize in Literature in 1966 jointly with Israeli novelist Shmuel Yosef Agnon. Negotiating with the Traditions of Judaism. Yehuda Amichai’s artistic life was in nearly every way a negotiation of his Jewish identity, of the traditions to which he was heir, and of the world and regional politics that shaped his options for being and for writing. Throughout his career, Amichai had frequent recourse to a rich and varied Jewish literary tradition, and attempted to synthesize the stylistic and conceptual offerings of that tradition with the colloquial Hebrew spoken in Israel, as well as with the ever-shifting and often threatening circumstances surrounding the modern Israeli state. Many of Yehuda Amichai's poems and short stories revolve around war and its aftermath. Here are some other works that deal with this theme. The Country Between Us (1981), a collection of poetry by Carolyn Forche. The poems in this collection focus on the situation in El Salvador during the 1970s, when the country was ruled by the military and government-linked death squads terrorized its citizens. ''Death Fugue'' (1944), a poem by Paul Celan. This poem by the German Jewish poet memorializes the Nazi death camps of World War II. Celan struggled with continuing to write in German after the Nazi atrocities. Maus (1992), a graphic novel by Art Spiegelman. This Pulitzer Prize-winning graphic novel tells of the author's father's experience surviving the Holocaust and the war's effects on his family today. War Requiem (1989), a film directed by Derek Jarman. This movie, based on Benjamin Britten's 1962 composition of the same name, which incorporates World War I soldier and poet Wilfred Owen's work with the Latin mass for the dead, stars Laurence Olivier in his last performance. Yehuda Amichai is generally considered one of the most important poets of his generation of Israeli writers, focusing as he does on Israelis’ painful and often ambivalent feelings about their post-Holocaust and postliberation existence. His poetry is widely praised by an international audience for its spare, honest exploration of emotions many people find too painful to face. But Amichai is not without his detractors. Some critics find his work simplistic and missing a crucial core philosophy, since Amichai, like many of his peers, does not align himself with one specific political view. Nonetheless, Amichai’s work is admired overall for the strong, if sometimes sorrowful and confused, passion it displays. Though his poetry is sometimes described as lacking a comprehensive philosophical system because of his seemingly simple observations and syntax, it is his ability to infuse ordinary moments with extraordinary metaphysical meaning that first drew international attention to his work. Daniel Weissbort writes, ‘‘This poet’s work, in its expansiveness and humanity, enriches all its readers and has been crucial in enabling the new literature of Israel to engage in a creative dialogue with the entire problematical and paradoxical history of the Jewish people.’’ Ami- chai, in short, might be termed a poet of universal Jewishness; in his own complex negotiation with Jewish identity after the Holocaust, he wrote works that speak to all people in all times. 1. Yehuda Amichai wrote in Hebrew, which was then translated into English for British and American audiences. How well do you think literature, especially poetry, can be translated? What are some problems that might occur when translating poetry into another language? 2. Choose a song or poem you like. Write a prose ‘‘translation’’ of its meaning. Do you feel that you were able to translate the nuances of the original? Explain the differences between the two. 3. Amichai’s work has been criticized by some because he does not align himself with one particular political point of view. Do you think that it is easier for writers to succeed if their work expresses clearly defined beliefs or belief systems? In what ways would that benefit the writer, and in what ways might it hurt the writer’s success? 4. Amichai believed that he never won the Nobel Prize because of his political views. Should a writer’s personal politics matter when we judge his or her art, or just the quality of the art? What about a musician or actor? If these realms seem different to you, why is that? 5. When crimes against humanity occur, as in the Holocaust, they are often denied even as they are happening. The horrors of the Nazi concentration camps, for example, were virtually unknown to the rest of the world until they were confirmed by advancing Allied troops. Research the Museum Mapping Initiative (www.ushmm.org/maps). The Initiative has teamed up with Google Earth to show satellite images of areas in which genocide is currently alleged to be taking place. Write an essay analyzing the impact this immediate, objective information might have on nations’ decisions about whether to intervene for the public good. Abramson, Glenda, ed. The Experienced Soul: Studies in Amichai. Boulder, Colo.: Westview Press, 1997. Alter, Robert. After the Tradition: Essays on Modern Jewish Writing. New York: Dutton, 1969. Cohen, Joseph. Voices of Israel: Essays on and Interviews with Yehuda Amichai, A. B. Yehoshua, T. Carmi, Aharon Appelfeld, and Amos Oz. Albany: State University of New York Press, 1990. Weissbort, Daniel. ‘‘Yehuda Amichai: Overview.’’ In Contemporary World Writers, 2nd ed.. Farmington Hills, Mich.: St. James Press, 1993. ‘‘The Most Accessible Poet, Yehuda Amichai, 1924-2000.’’ Jerusalem Report Magazine. ‘‘The Untranslatable Amichai.’’ Institute for Translation of Hebrew Literature. ‘‘Yehuda Amichai.’’ Jewish Virtual Library. The Institute for the Translation of Hebrew Literature. Yehuda Amichai. Retrieved May 22, 2008, from http://www.ithl.org.il/amichai/. Last updated on August 27, 2007. National Public Radio. Love, War, and History: Israel’s Yehuda Amichai. Retrieved May 22, 2008, from http://www.npr.org/templates/story/story.php?storyId=9699843. Last updated on April 22, 2007.